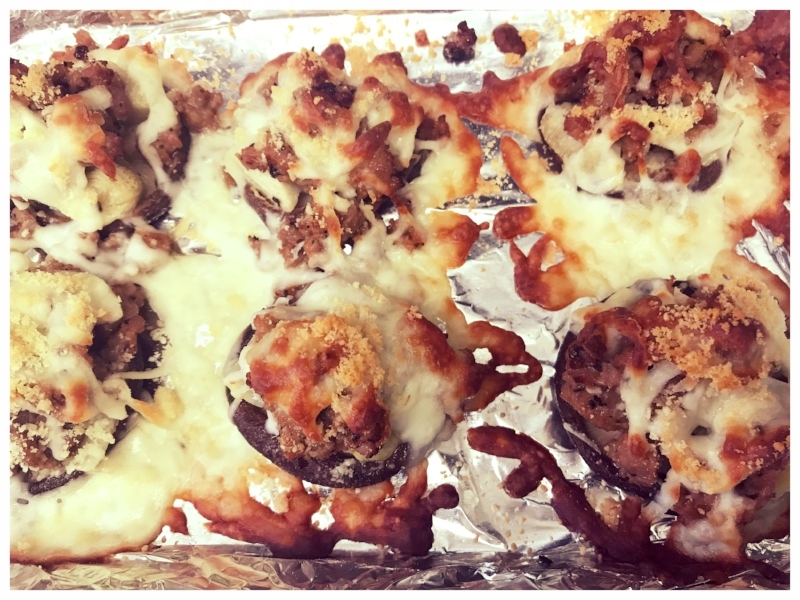 They’re meaty, they’re cheesy, they’re totally low carb! These 2-bite morsels are the ultimate Keto snack! We used mini Portobello mushroom caps as the “bun” base and we added some marinated artichoke hearts and sweet Italian sausage. The sliders are finished with a generous topping of melted mozzarella, parmesan, and dusted with fresh parsley. These didn't last long at the party because everyone ate them up! Step 1 - Prepare and clean mushroom caps by removing stems and dusting off any debris. Step 2 - Dice the artichoke hearts and set aside. Step 3 - Remove and discard sausage casing. Place sausage in pan. Step 4 - Heat pan to medium high for the sausage to sauté. Step 5 - Sauté the sausage until browned and cooked through. Drain and discard excess fat. Step 6 - On a lightly greased baking sheet, place mushroom caps 2 inches apart. Place 2 to 3 pieces of artichoke hearts in each mushroom cap. Step 7 - Add the sausage to lump on top of the artichoke pieces on the mushroom caps. Step 8 - Sprinkle shredded cheese (mozzarella first, then the parmesan) on top of each slider. Step 9 - Preheat oven to broil. Step 10 - Place mushroom caps in the oven and broil until cheese is melted and golden brown. Step 11 - Allow to cool slightly and then garnish with chopped parsley.